Haifa is Israel’s third-largest city with a population of over 250,000. It is in the very north of Israel, close to the border to Lebanon and beautifully situated on the shores of the Mediterranean Sea. Mei Carmel is a public corporation founded in 2010 as a spin-off from the municipal government with the aim to improving the public service level to the residents of Haifa. Mei Carmel is obliged to invest all the excess profit in water and sanitation infrastructure. The entire pipe network amounts to a length of 580 km (in 17 DMAs and over 100 pressure zones), the third largest network in Israel after Jerusalem (1200 km) and Tel Aviv (800 km). 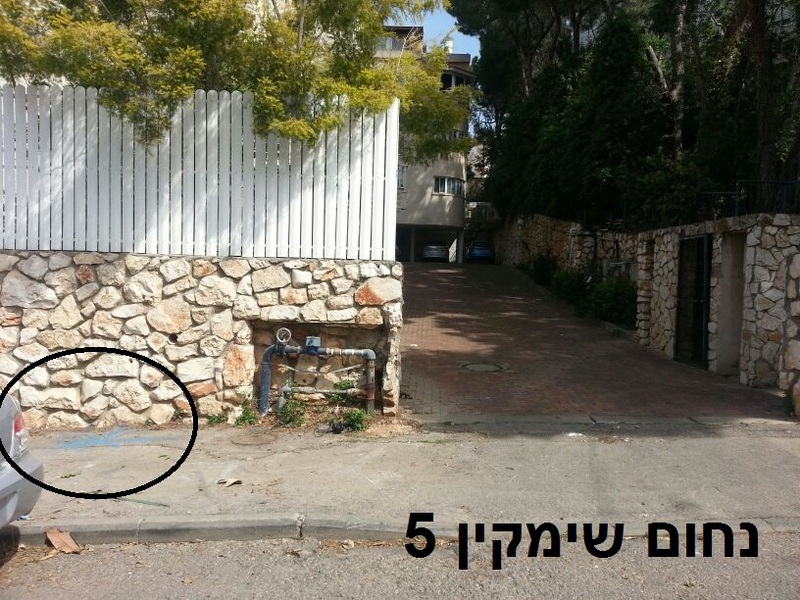 “The city of Haifa wants to be at the technological front line of the leakage solution field in Israel" said Mr. Stav, Avraham, Chief Operating Officer of Mei Carmel and architect of the waterworks planned rigorous leak reduction programme. "Active leakage management greatly aids the corporation to save more water and provide a much-improved level of service for the residents.” Every year, over 24 million cubic meters of water are processed and distributed to the 120,000 customers. The average customer price of water is around ILS 9-14 per cubic meter while the cost of production is about ILS 6. The estimated Non-Revenue Water (NRW) level before significant investments in technology and infrastructure was 17%, most of which comes from leaks. But this is set to change. 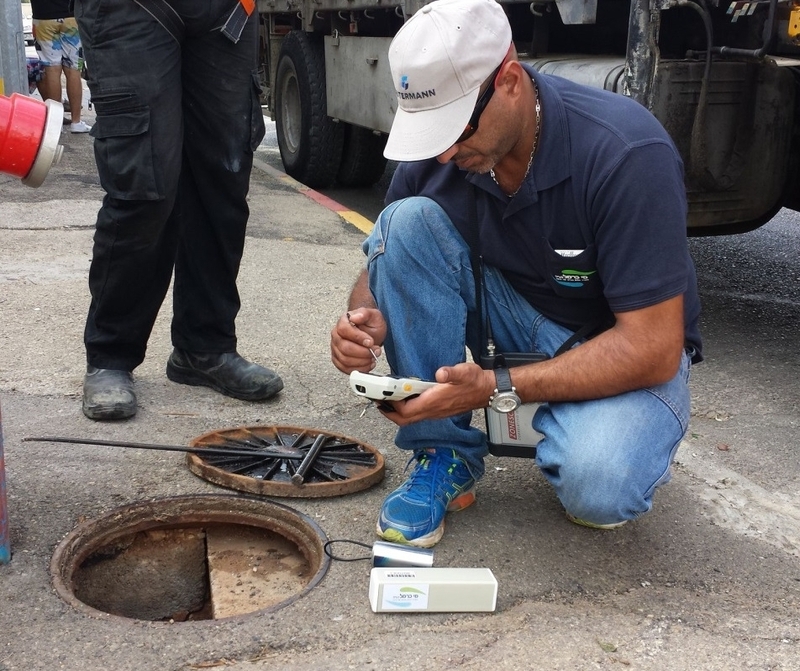 “Mei Carmel’s management needed a fast and quick solution!” Mei Carmel had used basic methods for leak detection before Stav Avraham and his team decided to invest in technology and approach the topic of leak detection in a more professional and sustainable way. Mei Carmel managers first came across GUTERMANN and ZONESCAN ALPHA at a trade fair in Asia in 2012. They quickly realised that ZONESCAN loggers can correlate automatically in a permanent setup, a unique feature which sets them apart from the loggers Mei Carmel already owned (German make). Within a few months Mei Carmel decided to purchase a batch of ZONESCAN loggers and test them side-by-side against their own loggers as well as loggers from a British manufacturer. 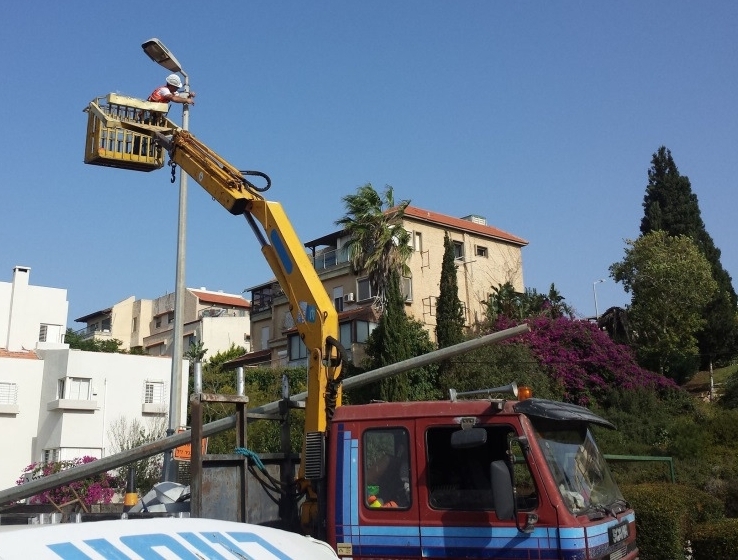 In summer 2012 Mei Carmel commissioned a small test installation (40 measurement points) from GUTERMANN which were installed in two selected areas: Ramat Eshkol and Cababir. Based on the experiences from the pilot, Mei Carmel decided to roll-out ZONESCAN ALPHA onto its entire network of 580 km water distribution pipes. A contract was signed to expand the installation through 2017 with an annual 300 measurement points, resulting in an eventual total size of at least 1,500 measurement points across Mei Carmel’s entire network. Within eight months of using ZONESCAN ALPHA with 340 measurement points Mei Carmel had reduced its annual water loss run rate by over 650 million litres. At a marginal cost rate of ILS 6 per m3=1,000 litres (ca. EUR 1.30 at that time), the total annual amount saved just in water costs would amount to ILS 3.9 million (or EUR 845,000). This, of course, is a multiple of what Mei Carmel initially paid for the purchase and installation of the 340 measurement points. The payback therefore was achieved in just a few months. By the end of 2014, the tally of identified and repaired leaks grew to more than 100 leaks. It’s fair to say, therefore, that by that point, Mei Carmel had saved an annual run rate of about 900 million litres of water, equalling savings of over EUR 1 million per annum. Less than EUR 300,000 invested in permanently installed leak monitoring technology, over EUR 1 million saved in reduced water losses. Reduction of NRW rate from 15.8% to 8% over the course of less than one year. Very high pinpointing accuracy of ZONESCAN ALPHA greatly shortening the time to find and fix leaks. Leak reduction programme can go hand in hand with the implementation of customer side metering, DMAs and active pressure management to achieve even greater results.